This work belong to the artist’s on-going series of watercolours that study, among other things, various representations and depictions of movement and depth in a medium that is both static and flat. 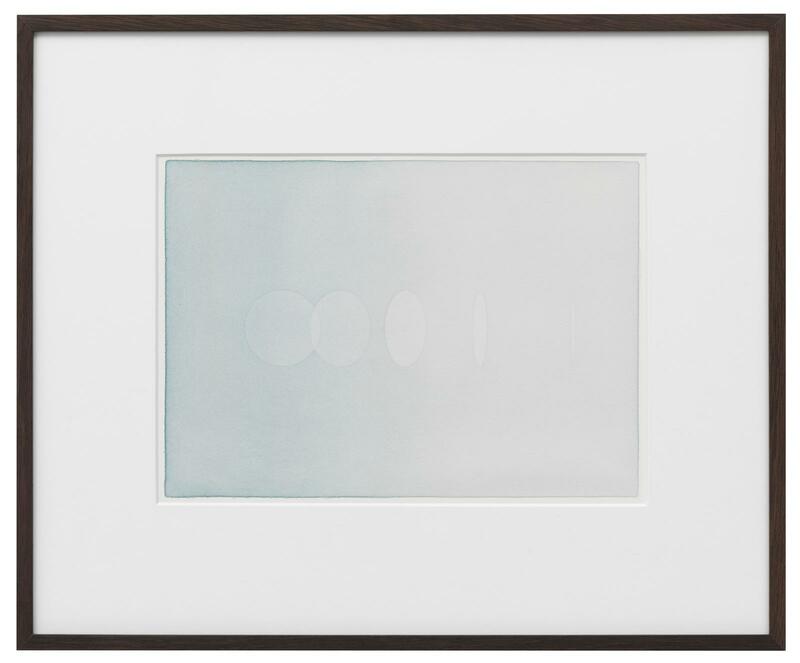 The watercolour ‘movies’ graphically demonstrate progression of form over time through a series of ever widening ellipses whose hues constantly intensify or shift. 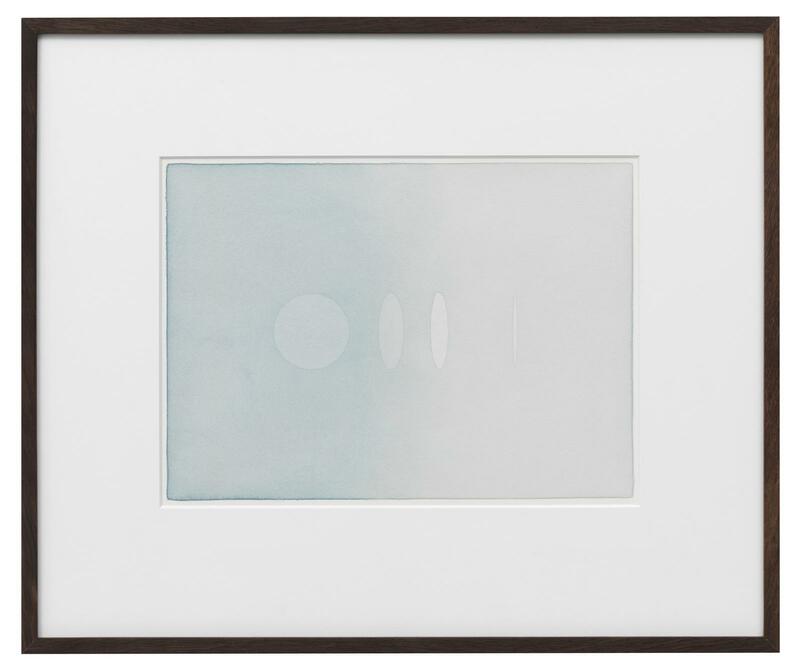 Here, successive layers of watercolour have been applied to the entire sheet of paper except for various elliptical sections in the centre, creating subtle variations in hue where the layers overlap. The circles and ellipses featured in these watercolours can be construed as various stages in the motion of a revolving disc, giving the impression of depth, duration, and varying speeds of rotation.